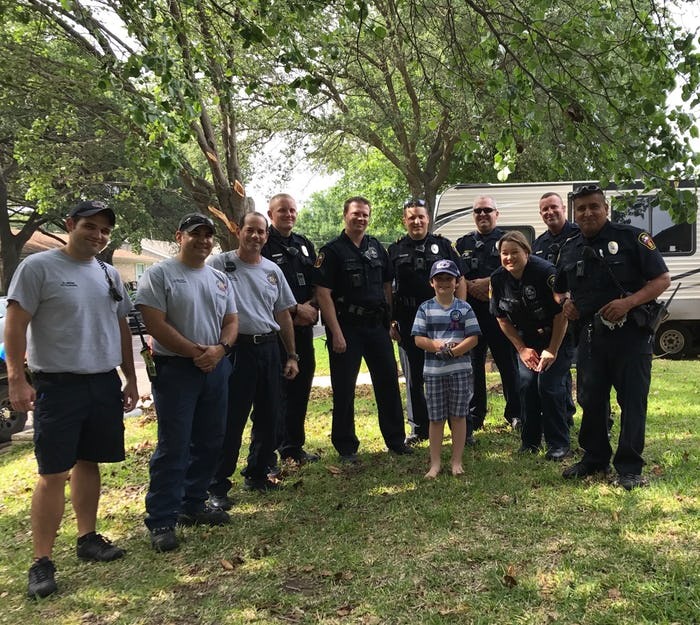 When no one showed up to Graham Day’s eighth birthday party, the local police and fire departments in Hurst, Texas, surprised him and saved the day. Although no one had responded to Jennifer Day and her husband’s invitations, they hoped for the best and baked cakes and bought pizza. But no one showed up to celebrate with their son, Graham. The same thing happened on his sixth birthday. Graham, once again, was devastated. “It happened once before, but this time something snapped in me and it was like no, this is not happening to him again,” Day told Dallas News. She and her husband drove to the Hurst Police Department and asked whether an officer might come see her son, who has always wanted to be a policeman. The station’s entire shift showed up at her front door — with a few Hurst firefighters, too.